There's an awful iPhone scam that involves getting homeless people to sign wireless contracts for new iPhones, according to 9News, a Denver news station, that caught the scheme on tape. Stranger still, some Apple store employees were seemingly unaware of the situation going on in the store, according to the report. The plan is this: someone cruises around homeless shelters, plasma donation clinics and other places where people desperate for money would be found. The scammer offers to pay someone around $200 to sign a wireless contract complete with new iPhone. The person comes to the Apple store, signs the contract and immediately hands the phone over to the one running the scheme. The schemer unlocks the phone and can then sell it as an unlocked phone with no contract for $600 to $800. The people being scammed are told they can cancel the contract at any time after signing. But of course, if they don't return the phone, they are on the hook to pay the contract. If they are unable to pay, it damages their credit, and the wireless company is ripped off, too. The scam is called "credit muling," according to a Sprint spokesperson who told 9news, "Once we introduced the iPhone we were seeing rampant credit muling all over the country." 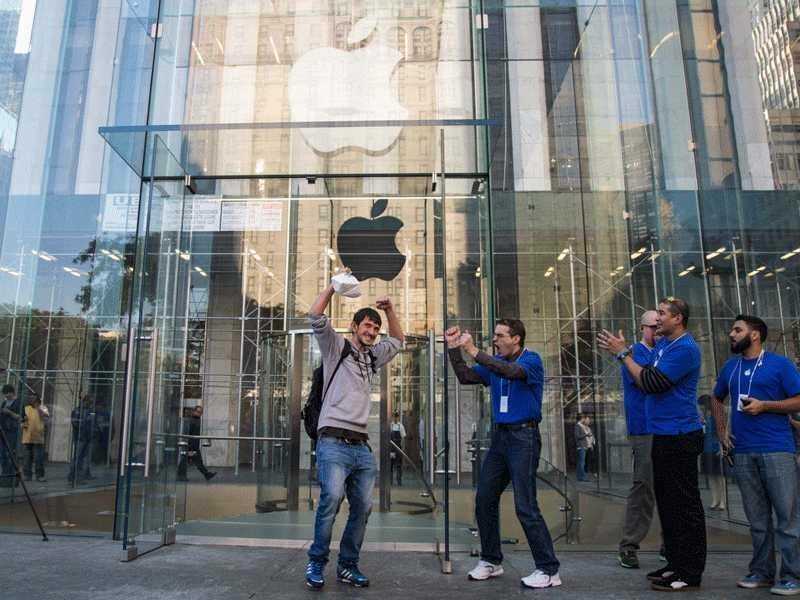 One of the most bizarre parts of this report was that Apple employees in this Denver store didn't seem to notice that a stream of people were filing into the store, signing contracts and handing the phones over to the same guy. And the guy was caught on tape collecting phones from people multiple days in a row. It's not clear what the Apple employees thought was going on. The reporter asked Apple PR about it and Apple declined comment. The situation is not unique to this one store in Denver, either. "Sprint has actually filed about 40 lawsuits all over the country trying to crack down on this type of behavior," the spokesperson told 9News. So, if you find an unlocked iPhone bargain somewhere, beware. The phone may have come from some plan that targets the homeless and the poor.